Steel Filled Gloves To Enhance Your Punching Power. The Police Have Been Using Them For Years. Now You Can Have The SAME Advantage! SAP Gloves increase your punching effectiveness while protecting your fist. These weighted gloves add mass to your punch which increases the kinetic energy of the overall effort. The physical increases in productivity add to the power of your punch while also protecting your hands from the blows and reducing injuries. 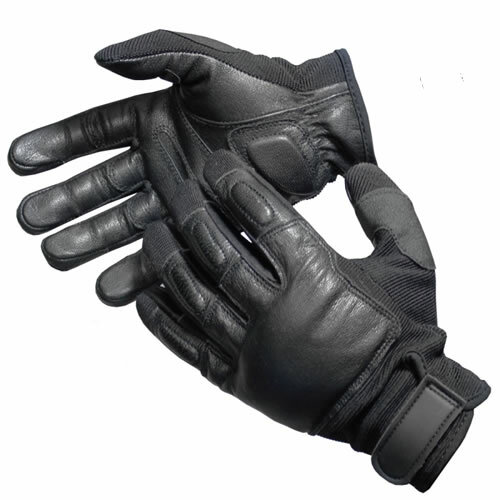 Looking like ordinary gloves, you can wear these without raising any suspicion of what you actually have. Used by guards, club bouncers, other security professions, and of course the police. 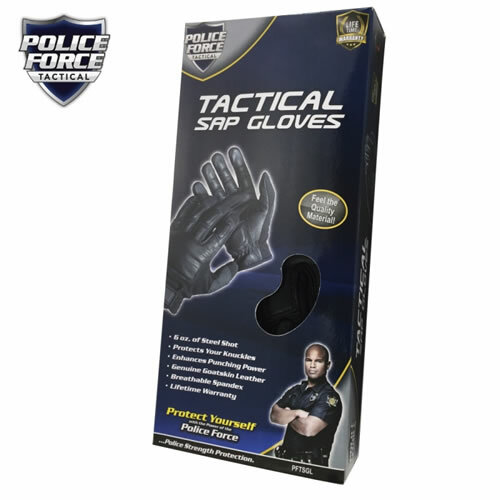 Law Enforcement SAP Gloves with steel shot knuckles. 7oz. 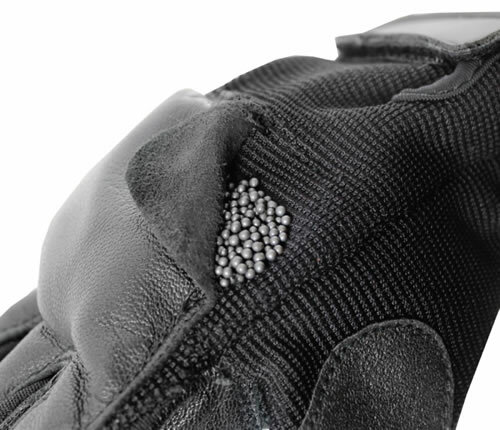 per glove of steel shot sewed into the knuckle area and made of high-quality leather. Superior to that of powdered lead. This impact tool will stun and subdue the violator in their tracks. Pack a serious punch with these. You'll completely floor the poor soul and they won't know what hit 'em. These steel filled gloves are now available to the public. Law enforcement has been using them for years to help win fights with unruly suspects. Earn the respect you're after and the reputation as a power puncher. Order yours today and be prepared next time you need to throw down. 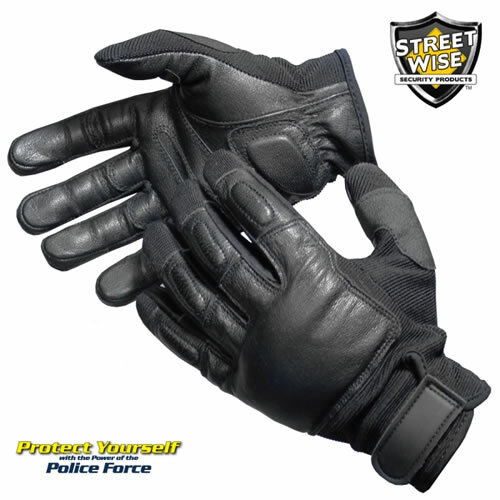 Please note: these self defense gloves CAN NOT be shipped to California, Massachusetts, Pennsylvania, or New Jersey. Our SAP gloves are a self defense weapon which helps to improve your punching power and also protects your hands. Almost similar to the effectiveness of brass knuckles, these reinforce your fist with steel shot inside the knuckle area. 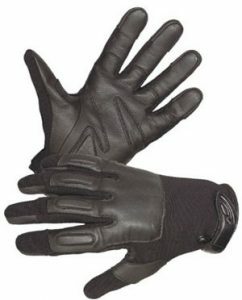 They are an ordinary looking glove that you can wear casually in plain sight without causing suspicion and can protect yourself if needed. Also, great for wearing while on motorcycles to protect from road burn in case of an accident. Two Sizes: There are two sizes available. Large: 9 1/2"-10" XLarge: 10 1/2"-11"
7oz. 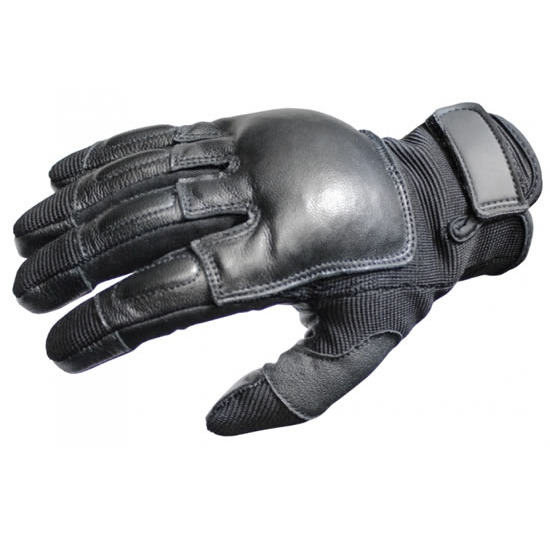 of Steel Shot each: This high-quality pair has 14oz of steel shot strategically sewn into the knuckles to enhance punching power and protect your knuckles from impact. 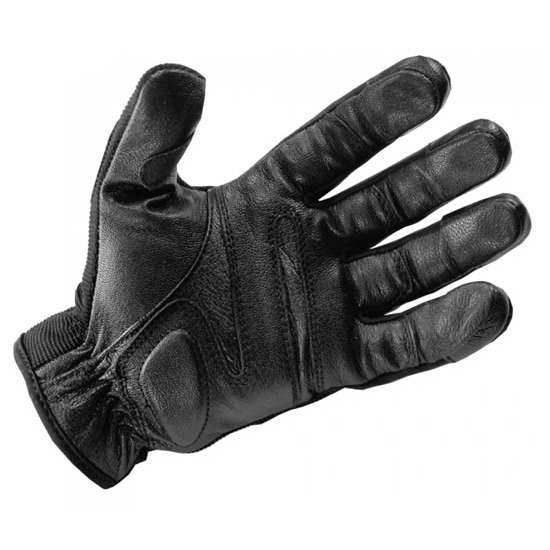 Genuine Goatskin Leather: Double Layered Genuine Goatskin Leather palms for maximum durability. Breathable Spandex: For comfort & elasticity to fit your hands perfectly. Additional Padding: Protects your fingers. Velcro Strap: Loop Wrist Closure with velcro for a secure fit. Lifetime Warranty: Made of the highest quality components and come with a lifetime warranty. See the enclosed instructions for complete details. 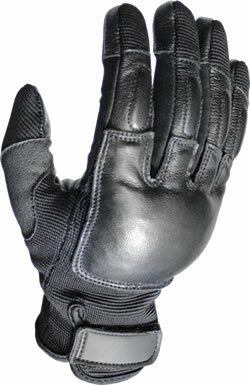 Don't be misled by other companies selling law enforcement gloves that are filled with sand or powdered lead. We ripped open the stitching on the front to show you exactly what is inside. If (when) they get wet, the steel shot will stay in place. Unlike models that are filled with sand or powder which will seep out. Are SAP gloves the right option? There are a plethora of options for self defense that you can buy from the market today. While some of them are compact and can be well hidden, there are others that are large and cannot go unnoticed. There are also weapons that are camouflaged so well, your opponent no one will even know you have one. These here fall under the category of camouflaged. They look like a normal pair of black gloves but have metal shot stitched into the region of the knuckles. They serve as protection against attacks and also help you knock out your opponent easily. They give you an upper hand that you wouldn't normally get if you only had your bare fists. Not a lot of regular stores sell these. You'll likely only find them online at stores like this one. Buy yours here to get the best quality at an affordable price. The Police Force brand delivers on materials and workmanship offering true goatskin leather, breathable Spandex, and a lifetime warranty. Scroll up to purchase your own pair now. Very often, in case of a physical attack, the only weapons you will ever have immediate access to are your hands. Unfortunately, not everyone is capable of producing sufficient strength to subdue an opponent or a threat. Hands, if not used properly, can be damaged or hurt during an attack. To reduce the likelihood that you could suffer from physical harm, consider the extra protection provided by SAP defense gloves? It can be a very useful addition to your arsenal. These are made of leather and are meant to protect and strengthen the hands. Reinforced palms means that the palm area is tougher to ensure maximum protection and durability. For complete gloves, however, steel or lead fillings are often sewn into the knuckles to optimize punching power. For training, this extra material also serves to add extra weight during punching and shadow boxing. Meant to ward off a blow or to provide more force to a punch. It is not bulletproof or knife proof. Many beginners treat SAP gloves as magic tools that would infuse them with power once worn. Actually, you will need some basic training in boxing, punching or self-defense in order to optimize use. Try to learn basic moves before or after you've purchased these. This will ensure that you can throw punches or ward off attacks in the most effective way possible. You can tell the difference in the power of your punch once you put them on. A quick punch or jab delivered to an opponent’s face can have considerable power if you're wearing a pair. While it could merely stun him for a few seconds, it could do a lot of damage if you get a good hit in. The extra punching power could, for example, break his jaw or nose or knock him out. For this reason, it’s important to estimate the amount of force you are capable of throwing if you’re wearing a pair. This will ensure that no unnecessary force is used. Not every state allows a civilian to carry, use or wear SAP gloves for self-defense. But most do. These are the only states we can not ship these to: California, Massachusetts, Pennsylvania, or New Jersey. I purchased the large size, and while a little tight, it is exactly as described. My only issue is the fact that you cannot use touchscreen devices due to the material. Came very fast. Great item..